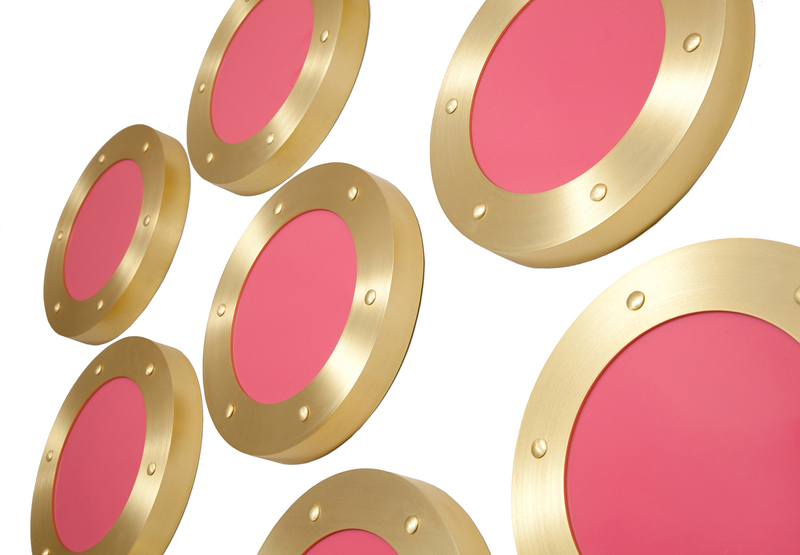 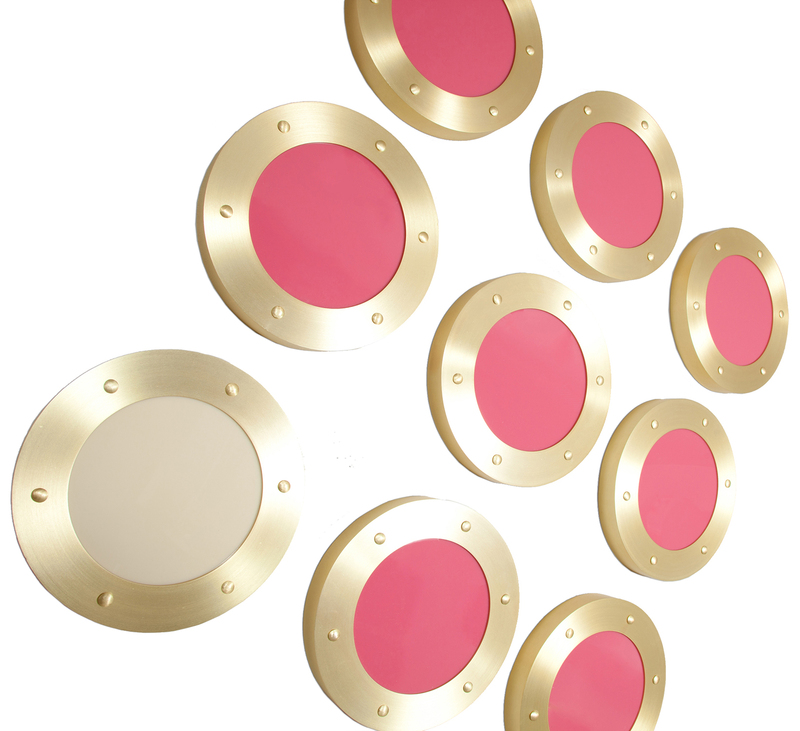 Inspired by a magical pink door in New York, these cheeky wall sculptures evoke portholes on a luxury liner. 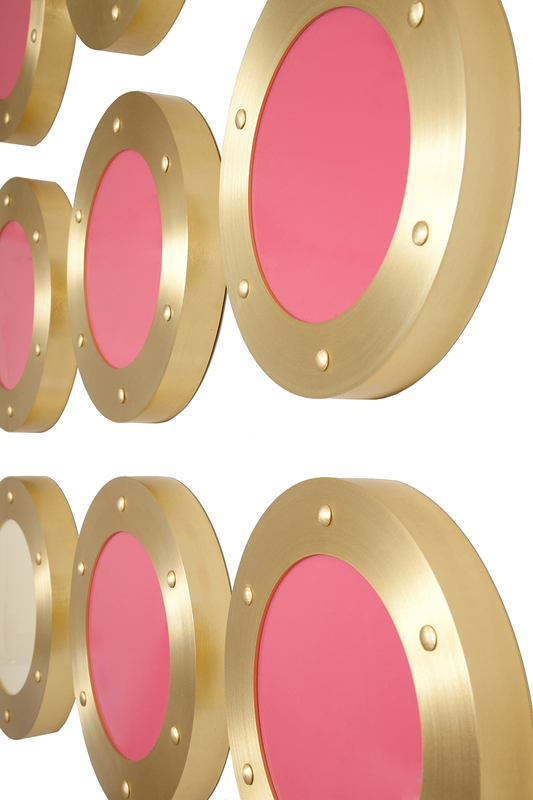 Whether in a Tribeca loft, or a Hamptons’ beach house, they add a brilliant metallic moment to any space. 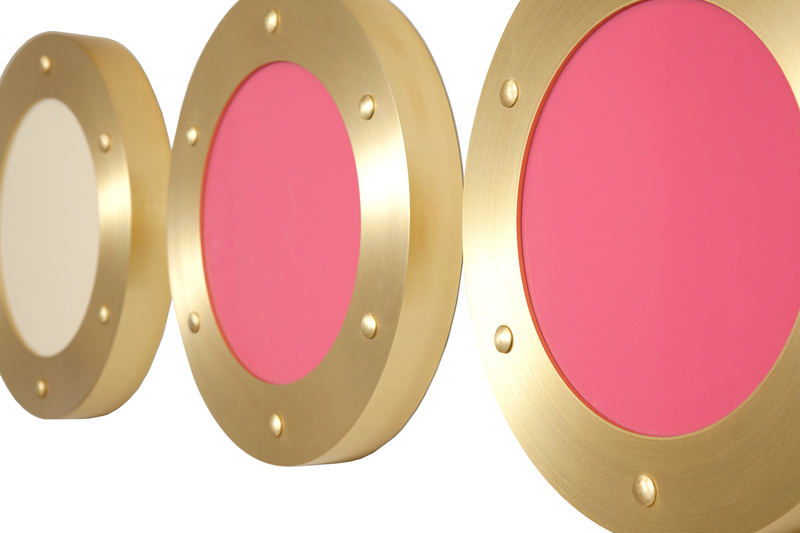 Available in stainless steel and brass finishes.